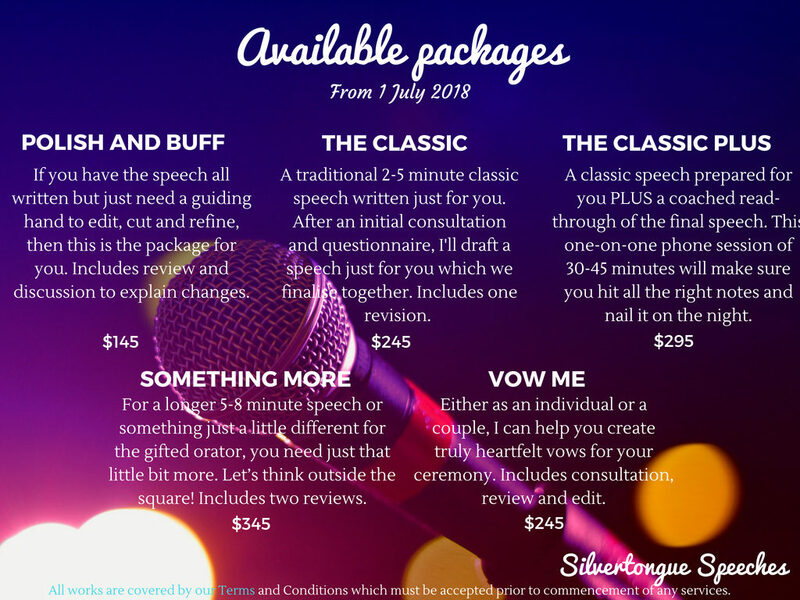 If you need a hand crafting your speech check out our available packages below. Can't find what you're looking for? Send us an email or give us a call and we can tailor something just for you. First of all I'll get a brief run-down of your needs and what you're after and send you a questionnaire to get things rolling. The questionnaire will go through the details of the event, your style and what you're after and start to get you thinking about what you want included in your speech. The more time you spend thinking and preparing here the better the final product will be. Next we'll arrange a phone consultation to talk about the speech and go through your answers. I'll find out exactly what you're after, get to know your style and tone and we'll talk stories and details so I can write in your voice. I'll then go away and write and in an agreed time frame I'll send you a draft. Take your time with this (if you have it!) and we can make any changes and revisions you like in a manner you like. If you don't feel like its 'you' or you don't feel confident saying it, now is the time to change it - the speech is only as good as you're comfortable with. I'll make any revisions and changes and send you a final product asap for you to practice practice practice! If you need a supportive voice to coach you through the actual speech to make you as confident as possible we can do that too! Anything you need to make an impact. So have a look at our packages, see what suits your needs and drop us a line! Do you do other writing and works? Sure thing! I love writing and I love helping out in life's big moments. 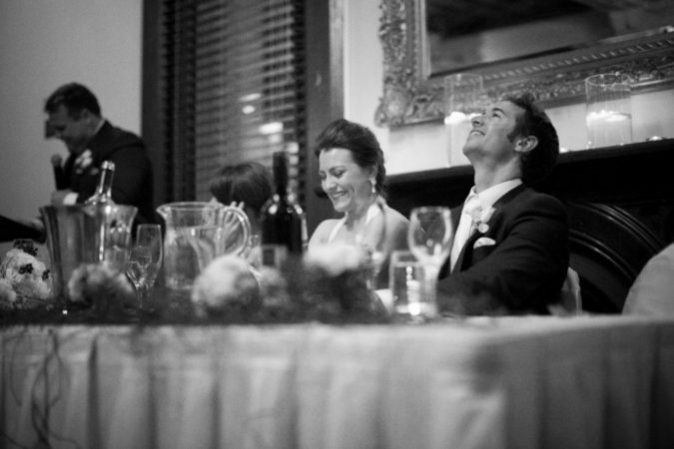 Silvertongue Speeches can help you in the best and darkest of times - if you need help with a special birthday speech, a toast for a christening or help with writing a eulogy, I have you covered. If you need help with your website About page, or need a hand with that corporate presentation or product sales pitches, I can totally help out. Whatever you need help with, we'll find the right words you need to make your mark. Drop me a line in the contact form and I'll be in touch as soon as possible!